A new report issued by the National Recreation and Park Association (NRPA) demonstrates the vast economic impact of our nation’s local parks. Kansas Local Parks generated over $812 million in economic activity in 2015, and local park and recreation spending in Kansas supports 7870 jobs. These a just a few findings from research conducted by NRPA and the Center for Regional Analysis at George Mason University for their Economic Impact of Local Parks Report. Policymakers and elected officials at all levels of government should take notice. Investments made to local and regional parks not only raise the standard of living in our neighborhoods, towns and cities, but they also spark activity that can ripple throughout the economy. KRPA collaborated with Feature Group to provide an exciting new benefit for our members. We assembled a short video to help promote the importance of having a vibrant recreation and parks department in every community across Kansas. What would happen to your community if we took away the parks, all recreational activities or the local pool? What impact would that have on your community’s economy or the moral of the community? What would occupy children’s time after school or in the summer? Are you a recreation commission? We can customize it for just recreation, or you can team up for your city's park department. We would be happy to customize the video to have your logo and your city's logo together. KEY SURVEY HIGHLIGHTS INCLUDE: • Park and recreation agencies’ sustainability activities not only focus on environmental benefits but also on public education and cost savings. • Even though virtually all park and recreation agencies have implemented many sustainability measures, most agencies do not have a documented sustainability plan. • Most park and recreation agencies do not closely track the cost savings that sustainable actions may generate. • Barriers that keep agencies from implementing more sustainability measures include a lack of funding, a lack of dedicated staff and limited expertise on practices. 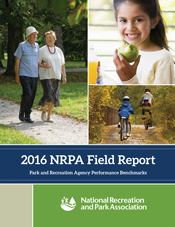 Click here to view complete report from NRPA. 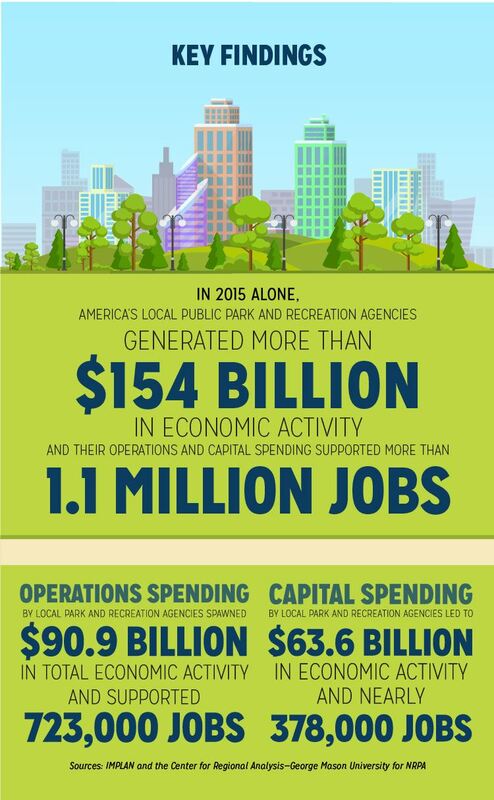 The vast offerings of the local park and recreation agency improve the lives of people throughout our nation. From the fact that Americans on average visit their local park and recreation facilities approximately 29 times a year to the majority of Americans identifying parks and recreation as an important service provided by their local government, the general public is an untapped advocate to spread the public park and recreation story. This annual study probes Americans’ usage of parks, the key reasons that drive their use and the greatest challenges preventing greater usage. Out-of-school time (OST) programs are critical providers of child care — affording parents and caregivers the opportunity to earn a living. These programs provide education about nature and nutrition, tutoring, mentoring and enrichment opportunities that improve the mental, physical and emotional health of youth. More so, OST programs fill a critical need by providing healthy meals to children during out-of school times. There remains, however, many opportunities for greater success by serving more children and expanding program offerings. Based on survey results from 396 park and recreation professionals, this study explores the scope and missions of out-of-school time programs, along with their greatest challenges and successes. 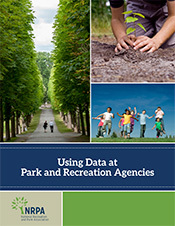 In recent years, park and recreation professionals have increased their use of data analysis to support decision making. The insights gleaned from data analysis help agencies make informed programming decisions for their facilities, help optimize capital expenditure budgets and support master planning. At the same time, many park and recreation agencies face the daunting challenge of identifying how to best take advantage of the great promise data can bring to their agencies. 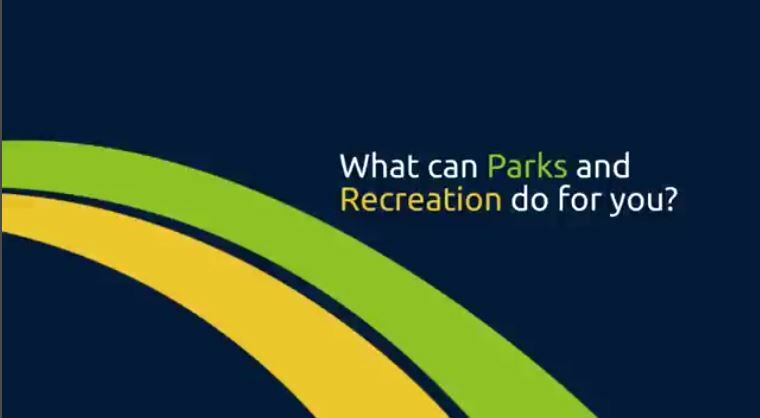 Based on the feedback of 58 directors from urban park and recreation agencies, this study looks at how park and recreation agencies are embracing data today and to identify the barriers that inhibit greater use of analysis. The typical park and recreation agency offers one park for every 2,277 residents served, with 9.5 acres of parkland per 1,000 residents. But park and recreation agencies are as diverse as the communities that they serve, and what works well for one agency may not be best for your agency. Therefore, you need data to best identify the best practices to optimally serve your community. That’s where the 2016 NRPA Field Report comes in. This report is the most comprehensive resource of data and insights for park and recreation agencies in the United States, and has 21 figures highlighting critical park and recreation metrics.